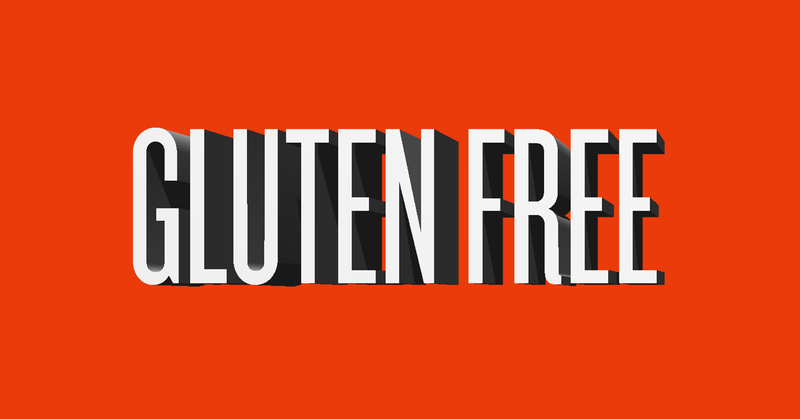 “Gluten Free” is everywhere: supermarkets, magazines, and celebrity diets. Is it good for you? Does it have real health advantages? Can it help you lose weight and stay healthy? As a nutritionist to celebrities and professionals alike, I get these questions constantly. With all the hype, it’s easy to forget that there is an actual medical reason for cutting out the gluten. Gluten is a protein found in certain types of grain — wheat, rye, barley — that can cause an autoimmune reaction in in the small intestine, resulting in symptoms ranging from stomach pain to nutrient malabsorption. People that suffer from this are often diagnosed with celiac disease, which affects more than 3 million Americans nationwide. The most effective solution is a strict, gluten-free diet. Just how many people can’t tolerate gluten? A much wider audience is suffering from milder symptoms of gluten intolerance than previously realized — nearly 18 million Americans. Those with even the slightest bit of intolerance are turning their focus to gluten-free foods to alleviate these uncomfortable side effects. Stocking up on every food item that touts the “gluten-free” label seems like a no-brainer — but that’s not always the best-case scenario. Gluten binds foods like pretzels and cake together. Without it, food companies are forced to add extra fat and sugar to make up for the lack of texture and flavor. Hello, extra calories! Gluten-free foods can be quite expensive, too (bread at $6?). These products may be the remedy to your GI issues but could be causing a thickening waistline and a thinning wallet. My advice: Seek out foods that are naturally gluten-free, instead of trying to eat something that’s trying to be something it’s not. Oatmeal — I get this question all the time: “Is oatmeal gluten-free?” The answer is yes, naturally it is. That being said, oats are usually processed in food facilities that also contain wheat products so the chance of cross contamination is high. However, there are companies that have isolated, specialized farms that produce gluten-free grains without this concern. Bob’s Red Mill has an entire line of oat products ranging from quick rolled or steel cut oats to GF oat flour. Pick your pleasure! Polenta — This freshly-ground corn product actually yields a lot of options. Trader Joe’s offers an organic variety that works great as a substitute for pasta or used as a pie crust in an egg white and spinach quiche. Since polenta is gluten-free to start with, you won’t find any extra sugar or fat. A 1/4 tube serving is only 70 calories and provides two grams of protein. Buckwheat — People usually group buckwheat into the cereal grain category, but it’s actually a fruit seed related to rhubarb and is packed with magnesium and phosphorous. Replace rice side dishes with buckwheat or add to soups instead of using noodles. Besides its hearty flavor, buckwheat satisfies hunger with six grams of protein and five grams of fiber per one cooked cup serving. Wheat free tortillas — Going Gluten-free can make sandwiches and wraps difficult. Using a low calorie, wheat free tortilla makes an excellent substitution. French Meadow bakery uses tapioca starch and rice flour to make a delicious wrap at only 120 calories. Amaranth — One of the lesser-known grains, amaranth contains more protein than wheat in a form that is more readily available to the body. When compared to other grains, it’s also the front runner in calcium, iron and an important amino acid called lysine. You can find amaranth in one of my favorite fiber bars by Oskri. Try all of these alternatives and see how gluten-free works for you. It might make you feel fuller, healthier, and refreshed. But don’t let it rule your life. As I’ve written about extensively in my books The Wall Street Diet and Bread is the Devil, it’s important to live your life, not your diet. This entry was posted in Health, Ingredients, Labeling and tagged healthy-living on April 17, 2012 by glutenfreepdx.